When Jesus lived upon the earth he continually invited the people he met to come and follow him. Many did not accept his invitation, but made excuses why they either could not or would not learn of him. Once while Christ was at the table eating with his friends, a man spoke up and said, “Blessed is the man who will eat at the feast in the kingdom of God” (Luke 14:15). “But they all alike began to make excuses. The first said, ‘I have just bought a field, and I must go and see it. Please excuse me.’ “Another said, ‘I have just bought five yoke of oxen, and I’m on my way to try them out. Please excuse me.’ “Still another said, ‘I just got married, so I can’t come’” (Luke 14:18-20). We need to be persistent in inviting everyone we come in contact with, to come and investigate the Christ and the church. When people make excuses, we must not become discouraged and give up. According to the sequel of the parable, the host instructed his servants to go out into the cities and villages and even the highways and byways, and invite as many as they found. 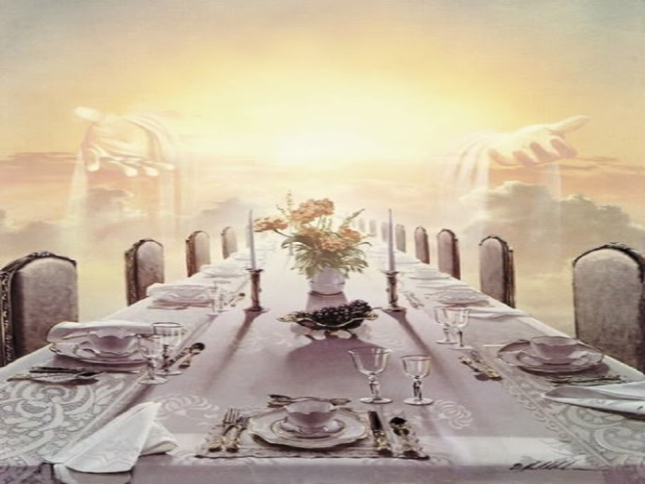 The spiritual banquet hall of the Lord will be filled and it is up to us to make it happen. But many times we who are the Lord’s servants make as many excuses for not inviting people as they do in turning down the invitation. Many people are members of the church because a friend or family member did not give up on them, but invited them to come to worship. Many of our fellow citizens think little about the spiritual education of their children and themselves. Let us make sure that their lack of interest is not because of our lack of interest in them. The great and loving invitation of Jesus will stand until the end of the world: “Let not your heart be troubled; you believe in God, believe also in Me. In My Father’s house are many mansions; if it were not so, I would have told you. I go to prepare a place for you. And if I go and prepare a place for you, I will come again and receive you to Myself; that where I am, there you may be also. And where I go you know, and the way you know” (John 14:1-4). Previous WILL GOD ALWAYS BLESS AMERICA?